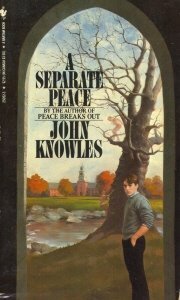 The other day Diana Peterfreund wrote a post asking after the books you loved and hated from high school English class. This stemmed from a post over on Robin Wasserman's blog, in which she discusses the same issue. I enjoyed reading them both (along with all the comments--seriously, you should definitely go read them) so much that I wanted to do a similar thing here and post the required reading I loved and hated in high school and ask for your comments and input. Like Diana, I had a killer high school English teacher. I actually had her for almost three years and so was fortunate enough to have a sort of idyllic experience reading all of these classics. The results were an increasing love for literature and only a short list of select books I hated. But those I hated with a fiery passion. The kind you can only feel as an enraged and entrapped high school student, I think. And that hatred stands to this day. My, I can be vindictive. Yep, Thomas Hardy, I'm lookin' at you. But that does seem to be the case with many others, though my husband falls in the less fortunate category of people who had every single required book ruined for them but one. Any guesses as to which one he loved despite all his teachers' best efforts? It's not one I had to read in high school, but I have read (and loved) it since. Now, I kept this list to books I was required to read for high school. It would have several more entries (The Chosen, for instance) if I included junior high, and a whole ream more if I expanded it to include the college or (heaven forbid) grad school years. But it's a good list. A list I look at fondly and remember reading the first line of A Tale of Two Cities and the last line of The Great Gatsby and the smile of satisfaction I had on my face during both. 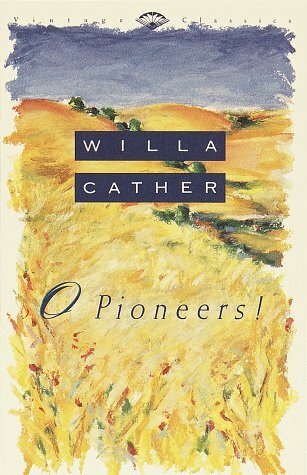 Of course, I twitch a little while thinking of the hours I spent slogging through The Grapes of Wrath and Jude the Obscure--possibly the first book I ever actually threw against the wall in disgust. But I don't regret any of it, really. Because each book enriched me. Because of each one of them, as John Donne so eloquently put it, I am involved in mankind. What books make your lists? And have any switched teams since you read them in high school? You know, I really don't even remember the books I was required to read in high school... That's how much of an impact they made I guess. The only one I remember is To Kill a Mockingbird. It's still one of my favorite books. Having a bit of a mind blank this morning, but these are the ones I remember distinctly. You know, of all the ones I was required to read (not chose from the list), I think the only one I didn't really like was Black Boy. Among the ones I read on my own, there were some I didn't finish because I hated them and a few I did finish and wasn't too keen on, but most of them I enjoyed. Great post! Hmm I can't even remember all of the books that we read in high school. I remember loving Edith Hamilton's Greek Mythology though. I know we read the Iliad because we put up a class play of it. And I remember reading Le Morte d'Arthur as well. You hate Thomas Hardy? I fell in love with him in high school! Okay, I may have to copy you all and post on this too. I think I still have a list somewhere with all the books I read. Hmmm.... stay tuned. I had a HORRIBLE English teacher in high school (and had her two years in a row, so I never got a break). She didn't like reading, so we just watched the movies of most of the books we were supposed to be reading. I think the whole two years we only actually read Huckleberry Finn and The Count of Monte Cristo. Oh hells, that's a long time ago for me to remember....but I do remember enjoying The Grapes of Wrath. I think it was only because we got to watch the movie in English class, which was a nice break from books lol. I was bored to tears by Robinson Crusoe in college but at the same time I was engaged because of the way our teacher taught that segment of the class. Without her I'd have gone into a coma. I honestly can't remember that many books read in school! So pathetic. Oh, I did have to read Te Iliad and The Odyssey for an AP English paper. I did enjoy those. Wait, so did you like The Chosen or dislike it? My (possibly incomplete) list would go like this. I'm sure that's not all we read but I can't seem to remember anything else. These are the ones that really stood out for me. I'm IN high school right now (what a time to spend your time following book blogs instead of studying for the SATs! )and to be perfectly honest, we're not reading much that I really like. Hemingway I despise; Hawthorne is a sleeping pill. Shakespeare is sometimes enlightening and sometimes awful. My high school is somewhat technology/science-based, so literature is not much of a priority in our school in the first place. I am not averse to classics, in and of themselves (I ADORE Dumas, enjoy Melville's storylines, laugh out loud at Twain and Ambrose Bierce) but the ones we read have me scratching my head a bit--either at their lack of full-classic stature or their...awfulness. Oh - and Thomas Hardy's Under the Greenwood Tree. Is SO different than his other books. So I'd recommend it - it's a comedy of sorts, and if you need some motivation then watch the movie with Keeley Hawes first...good stuff. I also hated Dickens because of Great Expectations (WHO makes freshman read that?! ), but then discovered Oliver Twist and have been converted ever since (Try Little Dorrit! And the movie that just came out! )...the truth is I only read classics up until my junior year of high school. I didn't realize there were so many other books. That's a whole other story..anyway, for the most part I enjoyed the classics, but not Hemingway or Steinbeck or...yeah. English was a second language for me, still a very important subject in high school. Being Dutch I only had to read 8 English books for my english class and those could be anything as long as they weren't children's books, so I loved all the books I read for English. I hated almost every single book of the 15 I had to read for my Dutch class. Dutch literature is super boring! I'm really trying to remember what I had to read in High School...we read a lot of poetry and short stories, not so many novels. I did read a ton of classics for personal enjoyment in high school though. I actually have a lot of books from AP English still on my bookshelf (not too shabby!). That's all I particularly remember for now. 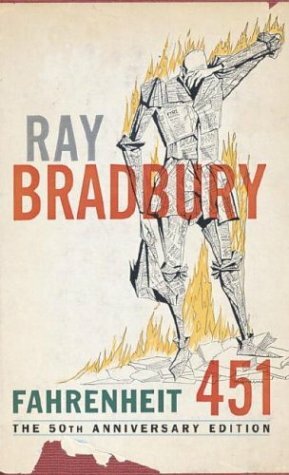 I loved Fahrenheit 451 - I went on to read all the Ray Bradbury books I could get my hands on. I also loved poetry in school - Keats, Poe, Yeats.. so many good ones! Oh, man, I am entirely too contrary by nature to enjoy books that are foisted on me. I disliked almost everything I had to read for school. I actually have a "required-for-school" shelf on GR and most of them are rated about 3 stars. Most of the ones that aren't are not classics. I had an 8th grade teacher who let us read the "good stuff" like Jurassic Park and Agatha Christie. I did love Edgar Allan Poe, Catch-22, A Tale of Two Cities, Edith Hamilton's Mythology, anything by Dorothy Parker, and one collection called Four Stories by American Women that included The Yellow Wallpaper by Charlotte Perkins Gilman and The Country of the Pointed Firs by Sarah Orne Jewett. I was okay with A Midsummer Night's Dream and The Iliad and The Odyssey. 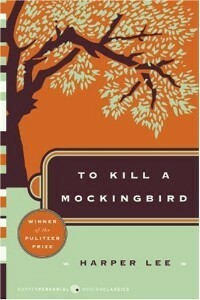 There are a few classics like To Kill A Mockingbird that I am entirely grateful were not required reading for me. I was able to find them on my own and enjoy them. TKAM was ruined for my sister, who is even more contrary than I am. I still dislike The Grapes of Wrath. I might have cried during the reading I was so bored. Then a semester later we had to watch the movie in my history class and it is the one and only time I fell asleep in school. Still in love with (after allll these years) To Kill a Mockingbird and The Great Gatsby. I don't recall being introduce to my darling Jane in high school which I know now was just sinful. Had we met then our friendship would be that much longer. The high school I went to, how to say this nicely, SUCKED. We hadn't even read a classic when I left the school. 'Course that could be a good thing... sorta. We read Crash by Jerry Spinelli, The Outsiders, The Hatchet by Gary Paulson, Homecoming by Cynthia Voigt... and then we'd get lists like two pages long where we could choose four or five books to read per term... like I said, my school was strange. Any classics I've read, I've read independently.